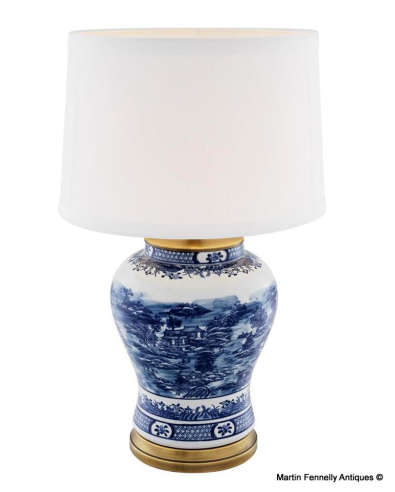 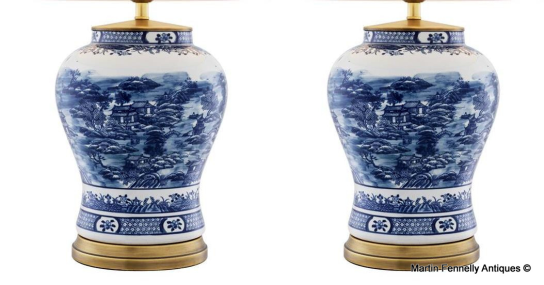 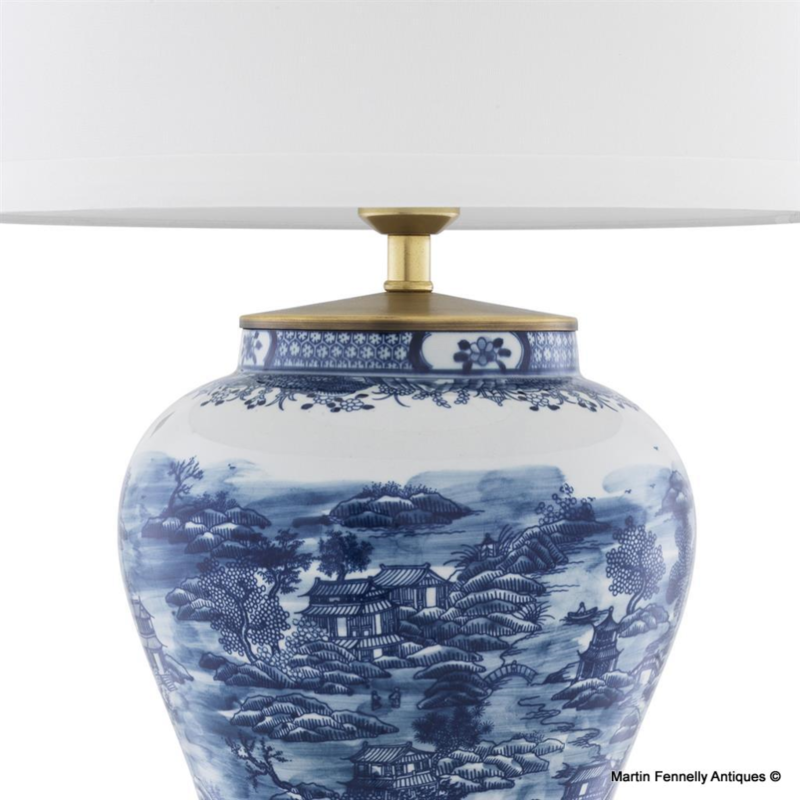 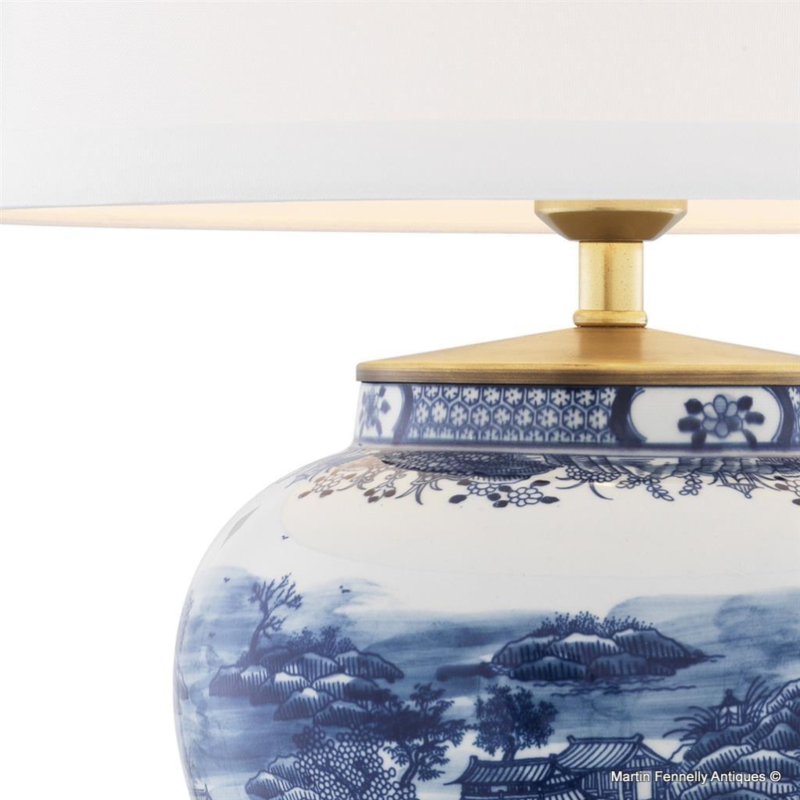 Pair of Chinese Table Lamps in Painted Ceramic with stylish decorative Antiqued Brass Bases and tops. 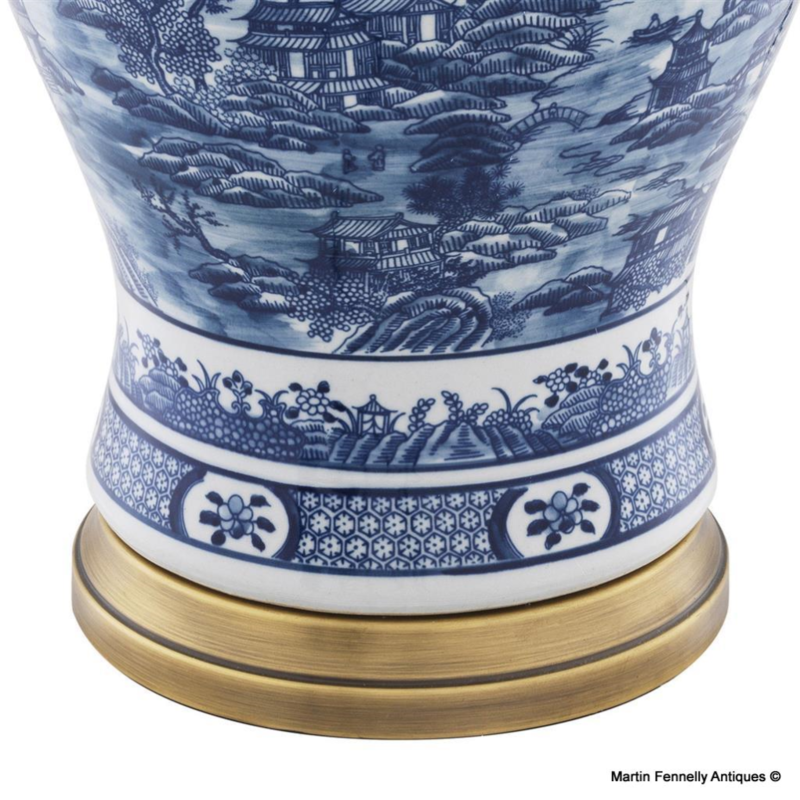 The main outer porcelain body with hand painted Chinese Scenes. 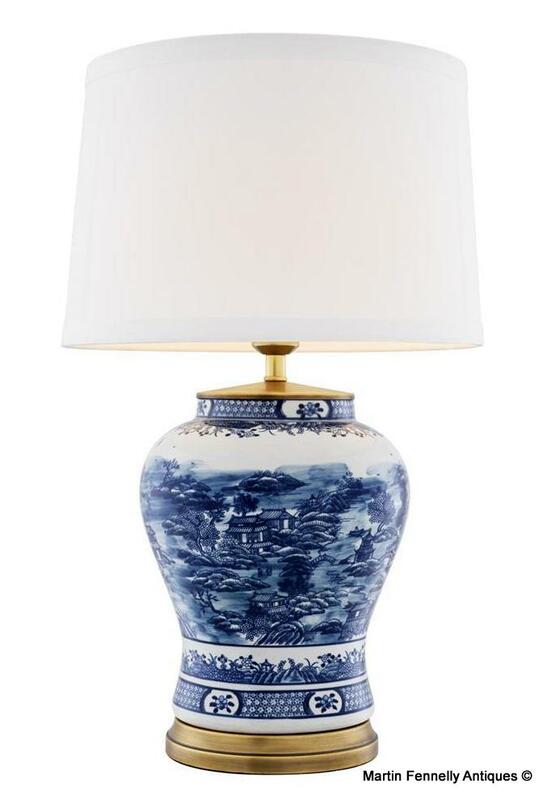 Shades included.